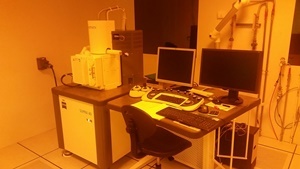 This system allows the observation at big scale (up to the nanometer scale) of samples. Available detectors : SE2 and SE IN-LENS. Interchangeable objectives microscope (x5, x10, x20, x50 and x100). 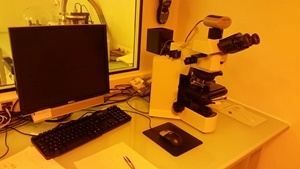 Various solutions offered to illuminate the sample and possibility of working under crossed polarizers. 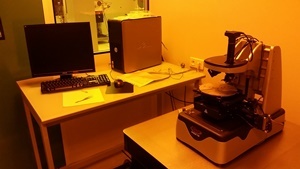 Allows to measure exactly walking(steps), average roughness or still to realize a 3D map of the surface of a sample. Two styli(stylets) of measure are available (2,5 µm and 12,5 µm of radius of curvature of the point(headland)).